Genesis Singers Youth Choir, whose mission is to spread the love of God through song, is made up of students in grades 7-12. The Genesis Singers sing a mix of traditional and contemporary worship music during the worship services at various times throughout the year. They also take a week-long choir tour every summer to various cities throughout the United States. Rehearsal is on Sunday Nights from 5:00-6:00 in the music suite behind the sanctuary. 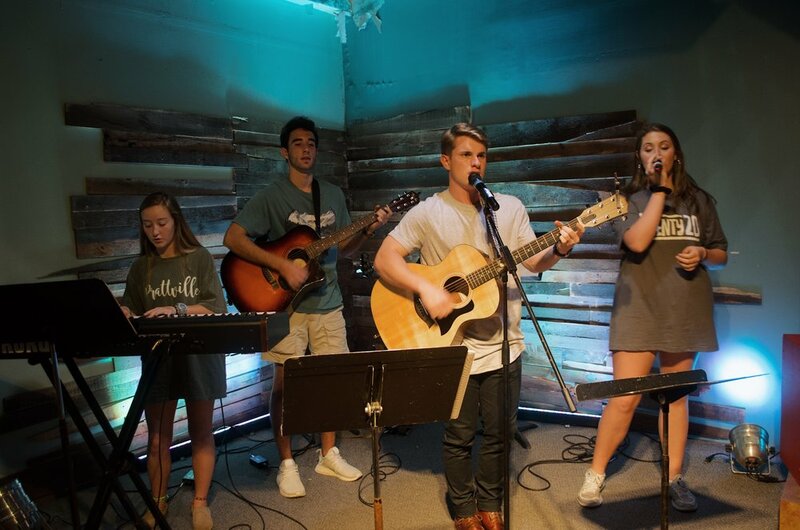 The Youth Praise Band leads worship on Wednesday evenings for youth group. They practice Wednesday afternoons. If you are interested in the youth praise band, contact Luke Ates at luke@prattvillemethodist.org.